A woman who came to Columbia with her husband to celebrate her wedding anniversary with a local reality television show personality died Saturday night and law enforcement officials believe moonshine might have played a role in her death. Witnesses say that Smyths came to stay at the cabins to meet John Haskiell, known as Rascal on Backyard Oil, a 2013 Discovery Channel reality show featuring local oilmen Jimmy Reliford and Travis Coomer. Haskiell is co-owner of the cabins. According to police, Smyth, her husband and Haskiell were in the main office of the business drinking, playing music, and celebrating for much of the evening. According to the witnesses, Smyth laid down on a couch around 9:30 p.m. and around 10 p.m. Haskiell noticed that Smyth’s feet were turning purple. Adair EMS responded to the scene following a 911 call. Emergency personnel attempted to resuscitate Smyth but were unsuccessful. Smyth was pronounced deceased by Deputy Coroner Tony Bragg at TJ Health Columbia. An autopsy was performed earlier this week. 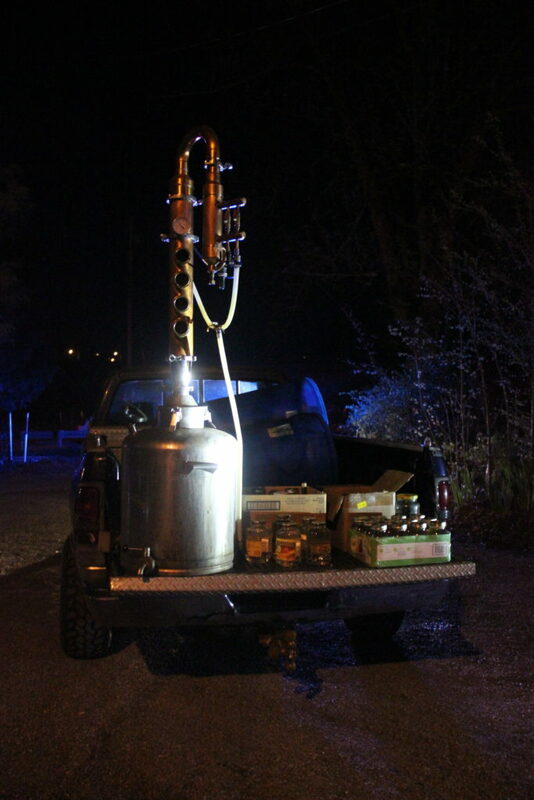 During the course of the investigation, officers located and confiscated an illegal moonshine still and approximately nine gallons of moonshine from John and Peggy Haskiell, owners of the Kozy Cabins Rentals. No charges have been filed to date, but an investigation has been opened and Durbin says criminal charges could be pending. Deputy Josh Durbin is in change of the investigation with assistance from Sheriff Harrison Moss and Ofc. Jamie Cole and Ofc. Josh Brockman with Columbia Police department.